I found a use for the rest of my Autumn M&Ms that I talked about in my M&M Cookie Bar post (and good thing, now that it's definitely Christmas M&M season!)! 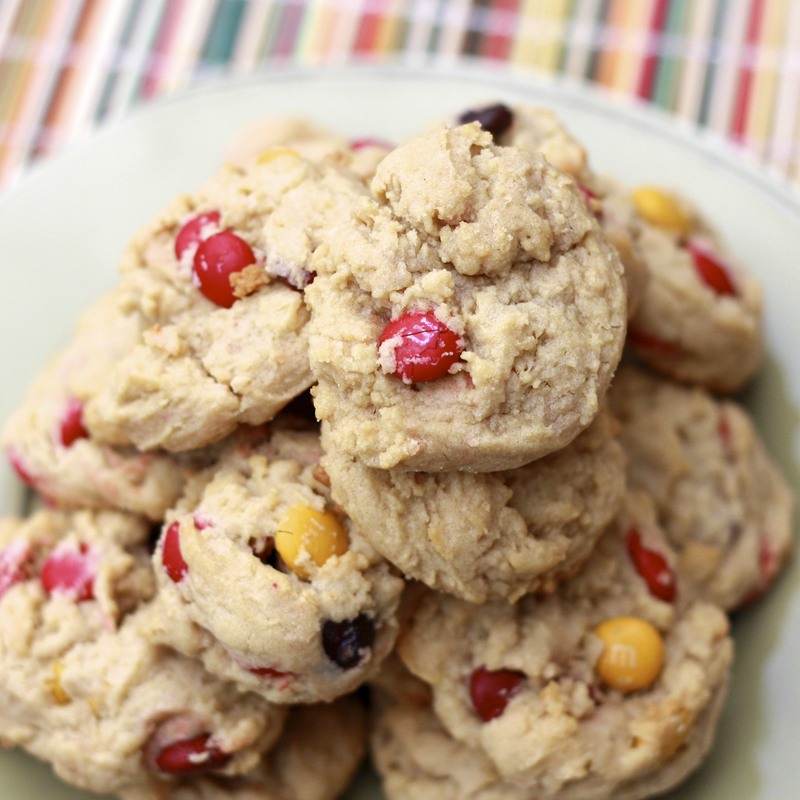 Enter: peanut butter M&M cookies. Most peanut butter cookies come out chewy and flat...at least my regular peanut butter and peanut butter BACON cookies did. These, on the other hand, emerged from the oven delightfully puffy...yet still managed to have that infamous chew that I love in a peanut butter cookie. I did chill the dough for awhile before baking my cookies, so you may want to try that if you're aiming for puffier cookies. 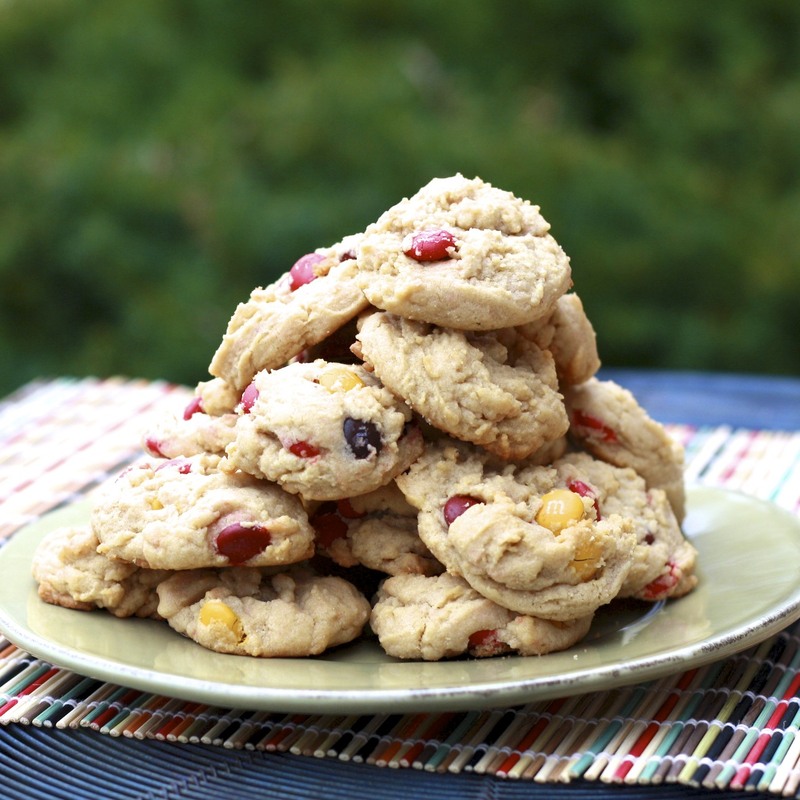 Pick up some M&Ms, make some cookies, and see what kind of bartering you can do with them! 1. Preheat the oven to 350F. Line 2 baking sheets with parchment papera nd set aside. 2. Combine flour, salt, and baking soda in a large bowl, whisking until combined. Set aside. 3. In the bowl of a stand mixer, cream butter until smooth (approximately 1 minute). Add the sugars and peanut butter, mixing until smooth (2-3 minutes). 4. With mixer speed on low, add egg, vanilla, and milk, mixing until combined. Stir in M&Ms with a rubber spatula. 5. Drop tablespoons of cookie dough onto the prepared baking sheets. Bake for 10 minutes, until lightly golden on the edges. Allow to cool on a wire rack.